From the illustrator of the #1 smash hit The Day The Crayons Quit comes a humorously warm tale of friendship. Now also an animated TV special! 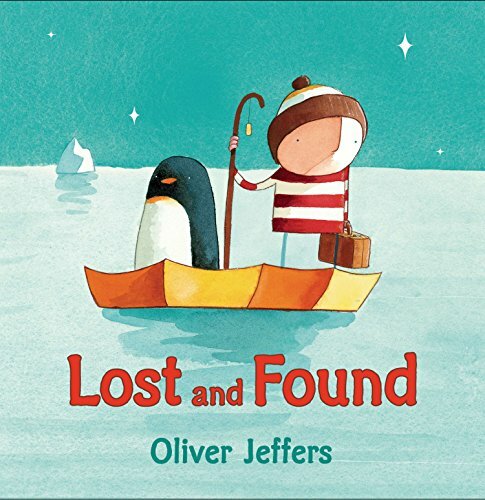 What is a boy to do when a lost penguin shows up at his door? Find out where it comes from, of course, and return it. But the journey to the South Pole is long and difficult in the boy’s rowboat. There are storms to brave and deep, dark nights.To pass the time, the boy tells the penguin stories. Finally, they arrive. Yet instead of being happy, both are sad. That’s when the boy realizes: The penguin hadn’t been lost, it had merely been lonely.